South Florida State College is a unified college. They support the region in all that they do, and they connect South Florida to the world. They think and act globally to transform their campus and classroom initiatives into technologies and ideas that impact the world in a positive way. The college was ready to increase their impact by targeting the traditional prospective student population, focusing on young adults ages 18-24. WDM developed an approachable, attainable, within-your-reach campaign to attract students who are undecided on their future, who believe college may not be for them. 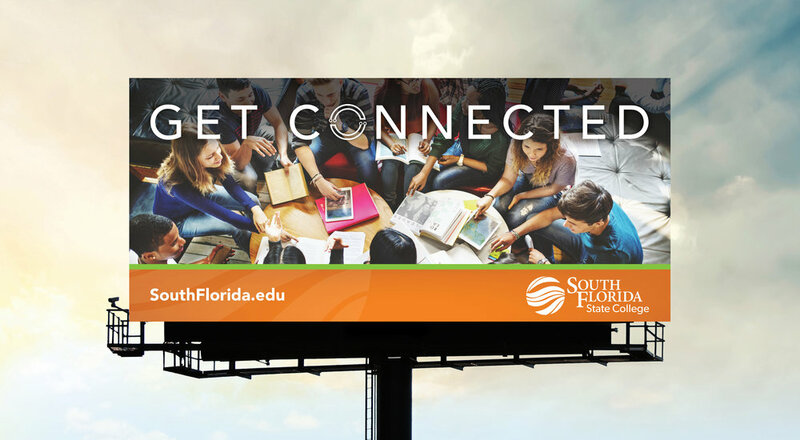 South Florida State College is a college that connects students to a path that will take them farther than they ever thought possible. They help students put their education into action, allowing them to make and strengthen connections at the college with engaged faculty and other students, with employers in the workplace, and ultimately with the world. All you have to do is make the first connection to South Florida State College and apply. Hispanic families and their communities are an important and valuable component of the service area that South Florida State College represents. Hispanic students represent an opportunity for the college to reach more people providing even greater workforce development and economic advantage for their region. and success in STEM degrees and career fields for students in their region.